You'll find plenty of places to visit near Cairns: Port Douglas (Wildlife Habitat Port Douglas & Safaris) and Hartley's Crocodile Adventures (in Palm Cove). Spend the 20th (Thu) among aquatic life with a scuba or snorkeling tour. There's still lots to do: tour the pleasant surroundings at Esplanade Boardwalk, enjoy some diversion at Esplanade Lagoon Pool, and take in nature's colorful creations at Botanical Gardens. For where to stay, photos, other places to visit, and tourist information, use the Cairns online attractions planner . Pune, India to Cairns is an approximately 16-hour flight. Due to the time zone difference, you'll lose 4 hours traveling from Pune to Cairns. June in Cairns sees daily highs of 30°C and lows of 22°C at night. Finish up your sightseeing early on the 23rd (Sun) so you can travel to Brisbane. On the 24th (Mon), admire the natural beauty at Roma Street Parkland and then enjoy some diversion at South Bank Parklands. On your second day here, identify plant and animal life at Lone Pine Koala Sanctuary, then take some stellar pictures from Mount Coot-tha Lookout, and then have some family-friendly fun at Psychic Readings Twin Featherz. 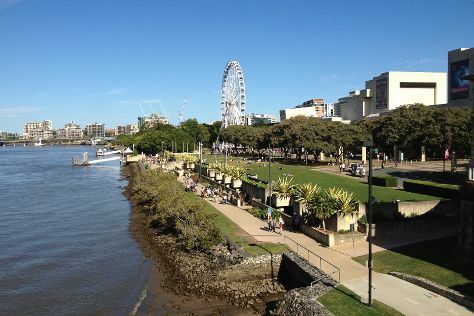 To find photos, where to stay, reviews, and tourist information, go to the Brisbane vacation builder website . You can fly from Cairns to Brisbane in 5.5 hours. Alternatively, you can do a combination of flight and bus; or drive. Traveling from Cairns in June, expect Brisbane to be a bit cooler, temps between 24°C and 13°C. Wrap up your sightseeing on the 25th (Tue) early enough to travel to Perth. 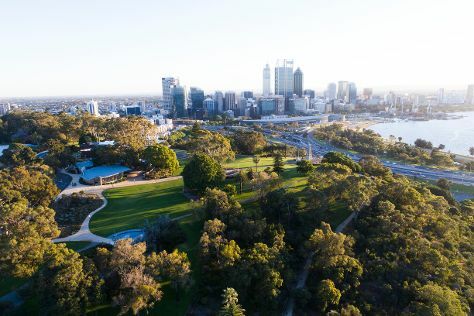 Start off your visit on the 26th (Wed): explore the activities along Swan River, then steep yourself in history at The Perth Mint, and then walk around Kings Park & Botanic Garden. Make your Perth itinerary with Inspirock to find out what to see and where to go. You can fly from Brisbane to Perth in 8 hours. Alternatively, you can do a combination of bus and flight; or drive. You'll gain 2 hours traveling from Brisbane to Perth due to the time zone difference. Plan for a bit cooler nights when traveling from Brisbane in June since evenings lows in Perth dip to 9°C. Finish up your sightseeing early on the 26th (Wed) so you can travel back home.